Want a lighter and shorter version of the Saker ASR 556? Today is your lucky day. 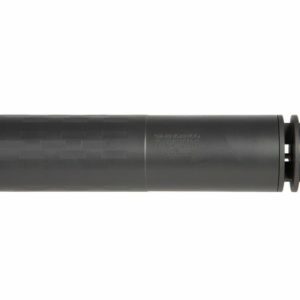 For rifle enthusiasts, SilencerCo developed the Saker ASR 556K, which offers improved maneuverability when needed most. Setting the bar high, the Saker line of cans was designed for bolt-action, semi-auto, and full-auto firearms. In a nutshell, SiCo has you covered for rifle suppression, especially in the 5.56mm category. SilencerCo crafts an extensive inventory of cans in unleashed Utah, where their creativity runs wild. The Saker ASR 556K is a modular unit that offers the ease of a quick-detach mount, but also provides several other attachment options. Being a compact suppressor merely adds to its legend. The SilencerCo crew chose Stellite for the baffles and stainless steel for the body of this unique can. Even though small in stature, its durability is never a question, and its 14.2-ounce weight screams maneuverability. Depending on setup, the Saker ASR 556K measures a minuscule 5.5” to 6.4”. 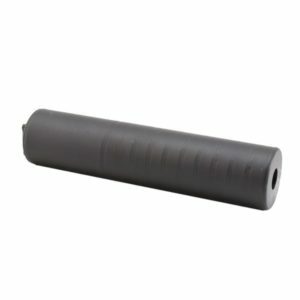 A short suppressor that maximizes user-adaptability and convenience? Done, son. 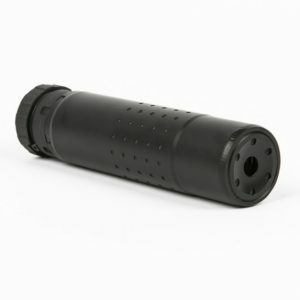 To that point, the Saker’s Active Spring Retention (ASR) mount technology facilitates attachment via various flash hiders, muzzle brakes, and direct-thread mounts. Throw this little beauty on your rifle’s barrel and enjoy the results.